Selected Villas for rent near Noori (Koh Samui) - Contact us now! Diners in search of dishes with a spicy kick will be satisfied with the well-flavoured Indian fare at Noori. 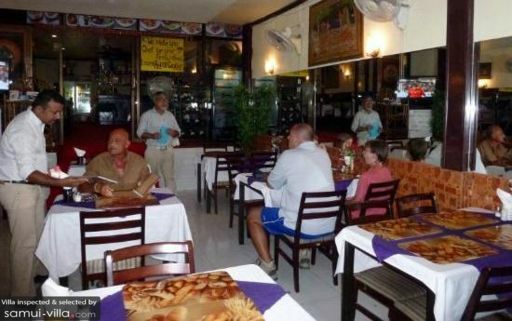 The restaurant serves a wide variety of meat and non-meat dishes, and boasts a fairly extensive vegetarian menu. Be sure to order a serving (or more!) of the warm and fluffy naan bread, as much mention has been made of this delectable item. Visitors will also be pleased by the friendly and prompt service provided.